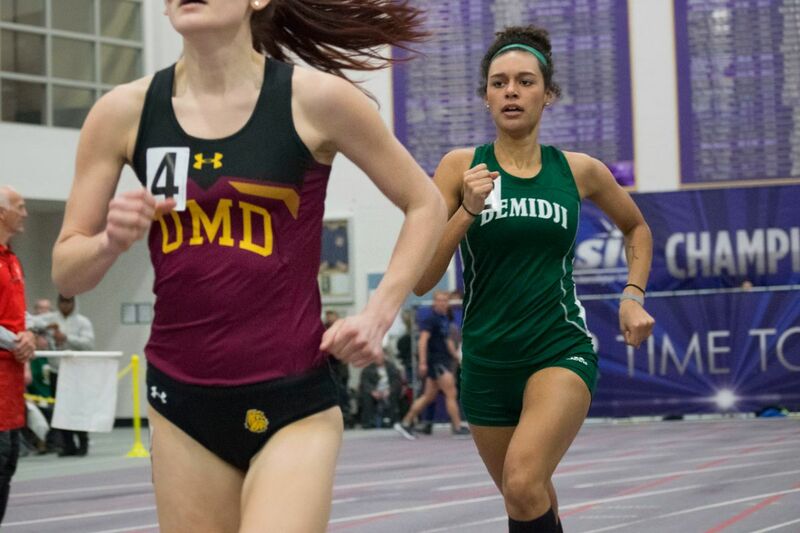 The Bemidji State University track and field team will send student-athletes to the Bison Open Feb. 1-2 and the Lake Superior Challenge Feb. 2 as part of a two-day meet weekend. The Beavers will compete in both track and field events Friday and Saturday in Fargo, N.D., while the throwers will head to Duluth, Minn., Saturday to compete. BSU’s record-setting season continued last weekend as two program marks fell at the University of North Dakota Indoor Open in Grand Forks, N.D. Sophomore Venice Stewart broke her previous school record in the 60-meter dash with an NCAA provisional qualifying time of 7.67. She took two first-place finishes in the 60m dash and the 200m dash and was part of the 4x400m relay team that also set a BSU record. Christa Benson, Beatrice Kjelland, Jada Barker, and Stewart set the program record with a first-place time of 3:58.30. In total, the Beavers brought home 11 top-five finishes, including four in the 60m dash and three in the 200m dash. Benson also finished among the top five in the 60m hurdles with a personal record time of 9.35 and the high jump with a mark of 5-feet-1.00-inch.